Shared with permission of the church. The names are mostly grouped by families often giving mother's maiden name and townland of residence. Photographed by Sheena McClure in 2014 with permission of the church elders. Photographed in preference to scanning so as not to damage the book. *Note: these records are not to be reproduced for profit or a charge without the permission of the Church. Below is the index of names in the book, and what page you can find them on. It isn't possible to link the names to their page. 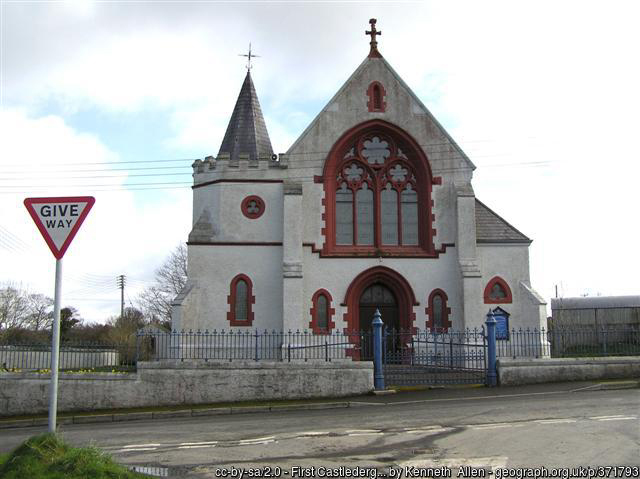 Please click on this link to the 1stCastledergBaptisms1823-1883.pdf file, and browse to your page of interest.